Everyone has intuition or the sixth sense — men, women, young, old. And it is never too late to discover it! It is our “inner GPS” and our birthright. You’ve heard of the term “mother’s intuition” or “women’s intuition”? Well, it’s not just for females anymore! Many people aren't aware of their intuition or don't believe they have any. People often think that you have to be “special” to be intuitive, or that it only applies to those who’ve been aware of it from birth. Some people think that the term “intuitive” only applies if you know that you're psychic and can read minds or predict the future. None of which is the case! Mothers are said to have keen intuition because they develop a heightened awareness of what’s going on with their babies. This is likely an evolutionary necessity, since pre-speech children cannot communicate their needs easily. But we all have the need to sense our environment and listen to our inner guidance. And we all have intuition. It just needs to be acknowledged, developed, and trusted. I first started exploring my intuition when I went to the Body Mind Spirit Festivals that the New Age newspaper phenomeNews held at Macomb Community College in the 1990s. There I met a psychic who was teaching psychic development classes. It sounded like fun, and I was ready to try something different — although I wasn’t sure I had any ability. In my first psychic development class, I marveled at what other students could get, but never thought I was receiving anything much. Then, through various exercises, I eventually learned to recognize the intuitive information I was getting. It turns out that I am especially strong in clairvoyance (clear seeing, in my mind). It was beyond exciting, as a new world opened up to me. I’ve taken a variety of classes over the years. I had no idea in the beginning that I’d evolve to do paid readings for the public! One of the reasons why I’m now hosting Holistic Psychic Fairs is to expose the public to this knowledge that has enriched my life. And it’s also why I’ve begun to teach Intuition Development — to share the gift of intuition with others. When I was first guided to start the social/educational group “Intuitives Interactive” three years ago, I figured it would attract people like me — i.e., “mature” women. And it does. But the group also has a healthy balance of men who are exploring their right-brain side, and the attendees range in age from twenty-somethings through people in their seventies. Children and teens have also attended with their parents. There are over 400 members in the Intuitives Interactive group on Meetup.com, and over 200 on our Facebook organization page. We get new people visiting the group each time. So when I open the meeting, I usually repeat this quote from the University of Michigan Division of Public Safety’s crime alert messages: “Trust your intuition. If a particular situation makes you feel uncomfortable or unsafe, choose an alternative.” See? Even the U-M police acknowledge that intuition is real and should be followed! You may not realize when you are accessing your intuition, because most of us do this naturally without thinking about it. But intuition improves when we practice it, acknowledge it, and listen to it. Let’s say that you have an impulse to take a different way home from work one day. You may not consciously see the reason to do it. Honor it! It could be that you will avoid a traffic jam, have extra time to hear something meaningful on the radio, or see a place that you wouldn’t have found otherwise. Intuition can guide us through life, helping us to aid ourselves and others, avoid pitfalls, generate ideas, solve problems, and more. If I need to make an important decision, I’ll ask my Higher Self for guidance. I tend to get the “knowing” or ideas automatically now. But there are various ways you can get an answer, aside from learning divination tools like tarot cards, muscle testing, or a pendulum. If you practice meditation, ask the question when you begin to meditate and see what you get. You can journal in a meditative state and get an answer (called “inspired writing”). You can ask as you go to sleep for an answer to come in a dream (when the conscious mind is turned off). You can ask for “three signs” to come in various ways. Then watch for the guidance! Perhaps someone will mention something to you, then you’ll read something, then you’ll hear something on the radio or TV. Ask and you will receive! So start activating your intuition. Play with and practice it! Pay attention to it and you will be richly rewarded and guided throughout your life. Amy B. Garber, B.A., R.M.T., is a psychic/intuitive and conscious channel who aids people on their path in channeled readings. 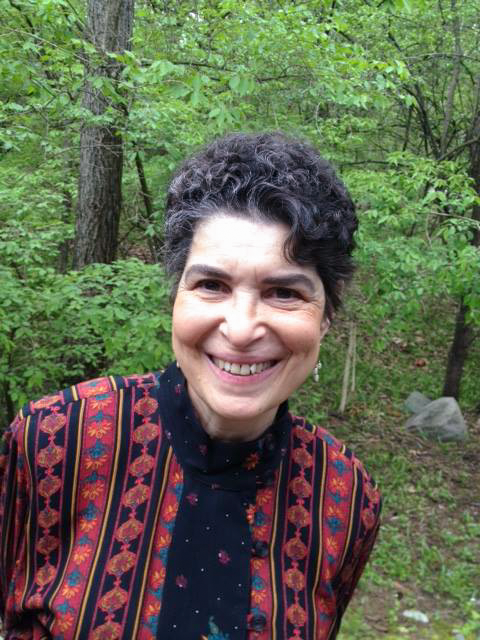 She has been leading groups in intuition exploration through her group, Intuitives Interactive; teaching intuition development at Ann Arbor Public School’s Rec & Ed program; and hosting twice-yearly Holistic Psychic Fairs at Washtenaw Community College. Amy also hosts public events to bring other metaphysical thought leaders to the public. She can be reached at metafizz.org or intuitivesinteractive.com, (734) 358-0218, or metafizzy@gmail.com. I’ve been a dreamer as long as I can remember. Not just a night dreamer, but a day dreamer —one who notices signs, synchronicities, and coincidences from the universe. Like many of you, as a child I would share my dreams and experiences to little acknowledgement. For me, the dreams continued to come, and I longed for an understanding of the messages they were delivering. Posted on August 30, 2015 by Amy Garber.